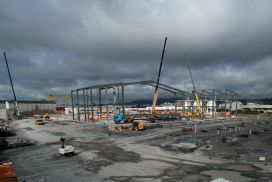 TimelapseViewer.com is a dedicated site devoted to Construction Time Lapse photography from Ireland. Time Lapse commissions will show your project in a way that nothing else can - compressing hours, months even years into a few minutes. 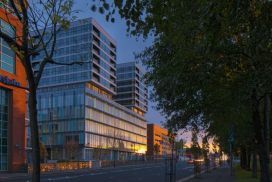 The team at Colin Wiliams has worked endlessly hard behind the scenes to bring Irelands only dedicated web site to that very subject - time lapse photography. Having trained with the very best in time lapse production in New York, we are now in a position to bring that service directly to Northern Ireland and further afield. Now offering time lapse coverage from a few hours, to long term installations, anywhere between 3 months to several years, we are more than confident we can provide a service which will record your project in outstanding image detail, creating timelapse videos from HD to 4K definition. Our long term installations are powered by mains or solar power with each unit having a battery back up for emergency use. Connecting wirelessly to the 3G network the unit will transmit the latest image directly to your password protected web site, most useful for project monitoring. By remote control we can alter the time interval between shots, again expanding the creative capability of our systems. 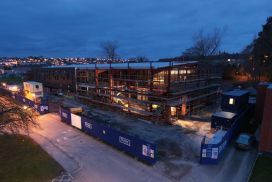 Using our time-lapse systems you can now meet the growing demand to record site progress with ease. Each transmitted image may be immediately downloaded to your server and used for project management meetings, printing, presentations, TV or media use, without the need to contact us. Fully trained CSR & IPAF staff. When we had a requirement for footage to be captured in our factory, Colin was recommended to us. Despite us having an immediate requirement just before the Christmas holidays (to begin filming in the new year), Colin was able to accommodate us with no issue. The quality of the footage and final time lapse video produced was excellent. Colin kept us regularly updated with progress of our final video, and was able to answer any queries we had quickly, which allowed for a seamless process. I would have no hesitation recommending Colin, and look forward to working with him on future projects. We engaged the services of Colin Williams Photography for the second part of our photoshoot of the Portadown factory. It was a seemless transition between Colin and the previous photographer. Colin Williams Photography provided some stunning low level photography which, after the third session was made into a short demo video. We commissioned Colin to carry out an aerial survey at a disused brick chimney stack in a residential area. The team arrived on site when they said they would, carried out the inspection without fuss and later supplied a set of aerial photographs which we couldn't have got by any other means. The cost saving to PJIQS alone was substainial and the way in which the team carried out their task was extremly professional. I will recommend them to any survey company wanting low level aerial work completed. Colin and his team have been instrumental in providing significant cost savings throughout our operations. The versalitility of their UAV is completely unique and unrivalled anywhere on the island. The team are professional and highly efficient in their service delivery and we will be working with them for a long time to come. The result of their photography exceed our expectations. We contacted the team at Colin Williams Photography with a wish list of almost impossible aerial video shots which we wanted covered in HD. Colin replied within hours of receiving our email stating that all was possible to a certain degree. Having never worked with a drone before it was time to put or trust in Colin and his team. We worked together over a period of three days touring Ireland and I can say the work is stunning. Will we use them again, without a doubt.